Peugeot mills have been known throughout the world for 200 years. Emblematic and iconic models, anchored in our memory, which were used every day by our mothers and our grandmothers. To pay tribute to this remarkable two-hundred-year history, Peugeot has designed a vintage salt mill collection that will bring you plenty of joy and nostalgia. In tribute to the exceptional adventure of the Peugeot mills that have successfully transcended the years without ever losing their charm, the vintage salt mill collection offered by Peugeot is a magnificent evocation of the past. 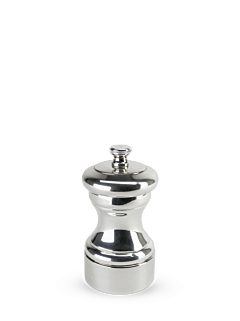 Reissued or worked by hand with the greatest delicacy to restore the magical charm of a patina of age, Peugeot vintage salt mills add a decorative touch to the most contemporary of kitchens.